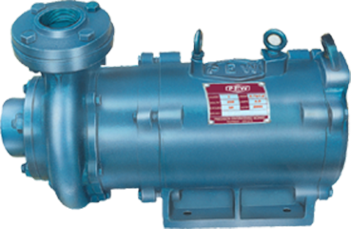 "PEW"submersible open well pumps come in complete cast iron construction as well as in S.S body. as the name suggests they are used for underwater applications require neither priming nor a foot valve.They are very easy to install and require no maintenance. Designed for extensive voltage fluctuations i.e. 250- 415V. 50Hz, AC supply. No need for elaborate foundation and pump house arrangement. Rural & Urban drinking water supply. Farm houses, Fountains, Air Conditioning, etc.